A federal grand jury returned an indictment Tuesday charging a Sterling man with obstructing a terrorism investigation. According to allegations in the indictment, 21-year-old Sean Andrew Duncan altered, destroyed, mutilated, concealed, and covered up a computer thumb drive and memory chips as federal agents raided his home Dec. 29, 2017. FBI was investigating his link to the ISIS terror organization. 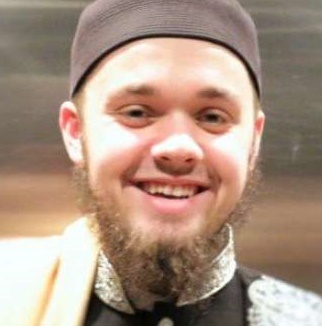 Duncan came to the FBI’s attention in February 2016, when the agency was alerted by his relatives that Duncan had converted to Islam and may have been radicalized, voicing approval of westerners being beheaded in the Middle East. Later Duncan was denied entry into Turkey and returned to the United States. Upon his return, Duncan deleted his Facebook account and changed his phone number. Last June, the FBI learned that Duncan had been in contact with an individual who had been detained in a foreign country for actively planning to travel to join ISIS. She claimed that early in 2015, Duncan told her he wanted to make “hijrah” to Syria and that he wanted her to go with him. Around this same time, the individual told Duncan she was upset at work due to non-Muslim women wearing shorts that exposed their bodies. Duncan replied with a link to a website, and a message saying she could “try this.” The link contained pictures and instructions on how to make weapons and bombs. The link was to an article titled, “How to build a bomb in the kitchen of your Mom” from Inspire magazine. In December 2016, Duncan told the woman that he and his wife had been deported back to the United States from Turkey and that he thought the FBI was monitoring him. In October, Duncan’s name turned up in a list of contacts of an alleged ISS recruiter who had been arrested by law enforcement authorities in her home country, which has not been disclosed in the court documents. Also in October, the Allegheny County (PA) Police Department investigated the death of Duncan’s infant son and provided a copy of Duncan’s phone to the FBI. On the phone, the FBI found numerous internet searches for ISIS-related material, ISIS attacks, weapons, body armor, surveillance and defense tactics, and paintball venues in Pennsylvania. Duncan moved to Sterling last June. In the Dec. 29 raid, FBI agents knocked on the door, identified themselves as FBI, and announced that they were there to execute a search warrant. They got no response and broke through the door. Just before the agents entered the home, Duncan ran out the back door, barefoot, and with something clenched in his fist. FBI agents guarding the back door yelled at Duncan to stop. Before stopping, Duncan threw a plastic baggie over the heads of the agents, who recovered thrown item. The Ziploc bag contained a memory chip from a thumb drive that had been snapped into pieces, and placed in a liquid substance that produced frothy white bubbles. Agents also recovered a broken casing for a thumb drive from Duncan’s pants pocket. Duncan has been charged with obstruction of justice, and faces a maximum penalty of 20 years in prison if convicted.